This comprehensive list of the best Mac tips we've published across the past year will set you up for a productive 2019. I don’t just write about how iPads can replace computers. I also spend a lot of time trying to figure out useful tips, and I thought it might be useful to pull together some of the best Mac tips I published during the past year. Apple introduced an all-new operating system in 2018. Just like all its regularly updated platforms, Mojave introduced a range of improvements on what we had before. I took an overall look at the new operating system here. 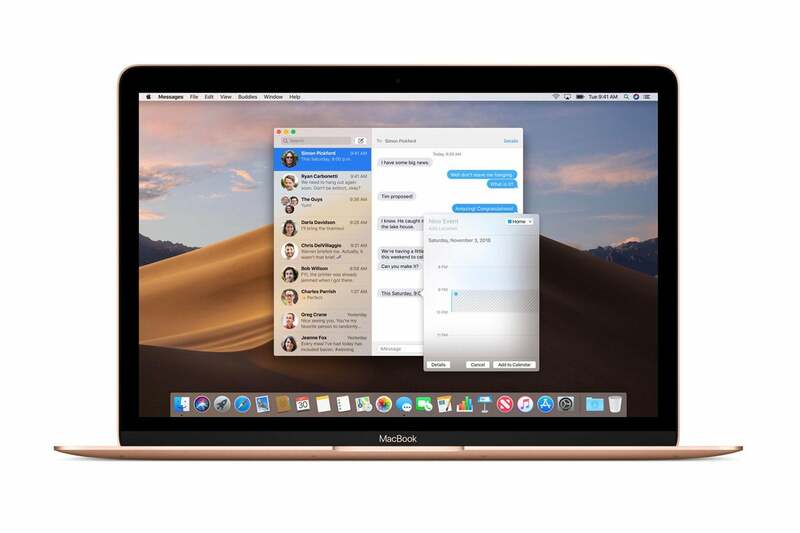 Taking a leaf out of the iOS book, Apple’s new operating system also provided an all-new way to capture screenshots on your Mac. Here’s what you need to know. One of the most important improvements in Mojave is the introduction of Quick Actions in the Finder. What are these and how do you make use of them? Mojave isn’t just about the big improvements – these little tweaks should help you get more done faster, too. This collection of tips will help you get more done when using your Mac. This short tour of some of the most useful Mac features you hadn’t started using yet has been enormously popular, so if you’ve not read it already, I imagine you will want to take a look. These essential keyboard shortcuts will save you huge amounts of time. It really is worth learning all of these if you really want to become an expert Mac user. Best read in conjunction with 11+ Mac keyboard skills to learn today. How to use Smart mailboxes, improve Siri and a few Finder secrets that should save you a great deal of time across the next year. Everyone thinks they know their way around Spotlight on the Mac, but do they? Test your knowledge with these 10 useful tips. I’m a tag champion and think every Mac user should spend time learning how to use tags on almost everything they create on their machine. Not only does it make things much easier to find, but combined with the platform’s many automation features, you can get things done faster as well. In brief: Text clippings can easily become one of the most useful features you’ll use. These essential tips will have you making much, much better use of your Finder. Find, send, share, and navigate your way around your Mac with ease with these. You can create really useful Automator actions that you can access directly using the Touch Bar on the MacBook Pro. Here’s what you need to know to get started. There are many ways to automate your Mac. And this useful tip lets you open applications, documents, and almost anything else automatically using Calendar on your Mac. Terminal is a scary place if you don’t know what you are doing, but this short guide will give you some useful tips and skills to help you take your first steps with the application. Do you take printing for granted? You shouldn’t. Here are some of the lesser-known talents Apple has nested inside printing on a Mac. The battery is one of the most important components inside your Mac. Without it, you can’t get much done. This simple guide helps you monitor and improve battery condition on your computer. So many Mac users still use Gmail, so I put together this small selection of tips to help you get more from using the Google's email service. These handy tips help you get the most out of using iCloud’s online service via a web browser, including how to create temporary alias emails for things like email sign-ups and the like. I hope you get more from using your Mac and these tips. Remeber: I also offer more of them over here. Thanks for reading, and happy holidays to all my readers.